John V. Fox of the Seattle Displacement Coalition – a tireless advocate for low income and displaced residents. SSU: Do you support Seattle Speaks Up’s Petition to Save Our Lowrise 3 Neighborhoods? If so, why? First, I support it on aesthetic grounds. The current L3 zoning, without the changes recommended by Seattle Speaks Up, encourages grossly out-of-scale development that intrudes on and destroys the physical character of our cherished neighborhoods. The existing rules allow development that doesn’t integrate; takes away light, views, trees and green space; lacks adequate parking; and is just plain ugly. Secondly, the new stuff often requires removal of existing lower density low-income and affordable units. The current zoning rules provide significant incentive for the redevelopment of a variety of existing housing types, units that otherwise would not be demolished. These older units are a critical source of affordable housing in our city. Long time residents including seniors, people of color, and retail and service workers who could afford to live in these neighborhoods previously are forced out of their neighborhoods when the new, more expensive units are built. Third, the residents of these neighborhoods are forced to endure these unwarranted changes in their communities. Neighborhoods, not planners, should have more control and say over the future of their communities – how they develop, grow, and change. Fourth, the increased height, bulk, and density of development allowed under current rules serves absolutely no public purpose. There’s no environmental justification for this. It doesn’t prevent sprawl and it doesn’t bring us a more affordable city. The facts are quite the opposite. SSU: In your view, how is skyrocketing growth connected to gentrification and displacement? JVF: Who is telling us that simply adding density will somehow guarantee housing for those at the bottom – that housing will trickle down to the poor? The only people I know who say this are developers and contractors, bankers, and planners who work for developers. Oh – and Councilmembers who get elected with loads of campaign contribution from development interests. Over the last 35 years we’ve been tracking growth and change in our city. Boom periods, when office and residential construction accelerates, are always accompanied by an accelerated loss of existing low income housing due to demolition, speculative sale, condo conversions, and rent increases. The number of folks displaced from their homes rises precipitously; the waiting lists for our limited stock of publicly assisted housing rises precipitously; and homelessness rises as well. These unfortunate consequences are the direct result of unregulated market forces and the conscious choice of our electeds to simply give free rein to development and developers. However, we can have policies that promote responsible and managed growth – i.e. setting limits when it intrudes on the character of our neighborhoods, promoting infill over demolition, and requiring developers to replace one-for-one low cost housing they remove and to share in the enormous infrastructure costs caused by growth. Seattle is the only larger city in the region that does not require developers to help cover these costs and pay impact fees. Effectively, those of us in the neighborhoods pay twice: once to cover the cost of providing the infrastructure these projects demand and once again to provide support service and housing for those who are displaced, while the developers walk away with handsome profits. We have our city leaders to thank for this. SSU: How do you respond to those who say that fewer regulations on developers will allow the free market to create more affordable housing? JVF: Simply unleashing the forces of the market brings more displacement and gentrification. Unmanaged growth has actually led to higher prices and higher rents. The new stuff that’s being built is very expensive and often requires demolition of existing low income housing. Since 2005, over 5000 low income and affordable units have been demolished. The number of demolitions always goes up when rates of growth go up. There’s also the phenomenon of “price leadership”: When a neighborhood is upzoned, when it becomes hot for development, and when new construction accelerates, property values across the entire neighborhood are driven up. Even on sites where housing is not demolished, there’s an increase in buying and selling of existing older apartments. Properties are refinanced and rents go up precipitously to cover these costs and this results in loss of even more low income units – more than are lost directly to demolition. Our elected leaders have a responsibility to manage, regulate, and ‘mitigate’ these impacts – and not simply cheer them on. SSU: Why do you think that asking for reasonable limits on growth represents a progressive and environmentally-responsible position? Since when did it become environmentally responsible to do otherwise? Since when did it become environmentally responsible to allow destruction of our city’s older growth tree canopy and demolition of thousands of units of perfectly good housing built with old growth trees that otherwise had years of useful life in them? Since when did it become environmentally responsible to pour tons of carbon-emitting concrete from one end of Seattle to the other? You’re not an environmentalist if you park your environmental credentials at the city line! You’re not an environmentalist if, as soon as you enter Seattle, you become a rabid pro-density, pro-developer, pour-more-concrete, rip-it-out, clear-cutting free marketeering zealot! What you are is a consummate hypocrite. Simply adding growth in Seattle does not prevent sprawl and does not get people out of their cars. Show me one subdivision, one rural development (that ate up one more farm); show me one suburban shopping center or strip mall that was not built because we built another highrise in Seattle that tossed hundreds of seniors and low income people out of their homes and destroyed our tree canopy? In fact, the evidence indicates just the opposite. Recent federal commute-to-work data indicate that since 2000, the percent of people working in Seattle who actually live in Seattle has fallen from 49 percent to 37 percent. And only 20 percent of those working in Seattle’s downtown actually live in Seattle. And despite recent upzones in core neighborhoods aimed at promoting more close-in living for downtown workers, a recent survey shows only one in ten downtown workers lives in downtown neighborhoods. A decade ago, the percent was much higher. While Seattle has grown appreciably (in fact at record rates), growth in the four county area – and especially at the margins – has risen at an even faster rate. The fact is there’s more sprawl today than ever before. We’ve got the worst of both worlds, more sprawl in the four-county area and the Manhattanization of Seattle. What’s environmentally conscious about this? There’s an alternative to sprawl and trying to crowd too many people (and jobs) into Seattle – an option that truly would address and reduce our carbon footprint and get people out of their cars. It’s called a poly-centered or multi-activity-centered model of regional growth. It means more evenly distributing jobs and housing around the region and concentrating them into our region’s existing underutilized activity centers, or along now-nonexistent transit routes serving those centers. And it means accompanying that growth model with the creation of bus, car, van pool, and/or personal (Lyft-like) systems that run along corridors serving those other activity centers. Yet we lack the transportation dollars to do this because we’re pouring billions into creation of expensive rail systems running into and out of Seattle and its downtown – a system that at best will serve about about 10 percent of the region’s commuters. Because we lack dollars for mass transit, the majority of the region’s commuters have no choice but to continue to drive, and to scatter further and further out into the four county area. Our land use and zoning patterns have followed suit, premised off – and reinforcing – the use of single occupancy gas-guzzling, carbon-emitting automobiles. As I said, those who argue that saving our global or regional environment requires us to run roughshod over our local urban environment – they are the consummate hypocrites. Those working to save our inner-city tree canopy from private development; those working to preserve our open space and our parks and keep them public and not commercialized; those fighting to retain our city’s human scale and keep our neighborhoods affordable; and those seeking to responsibly manage growth – those are the real environmentalists around here. 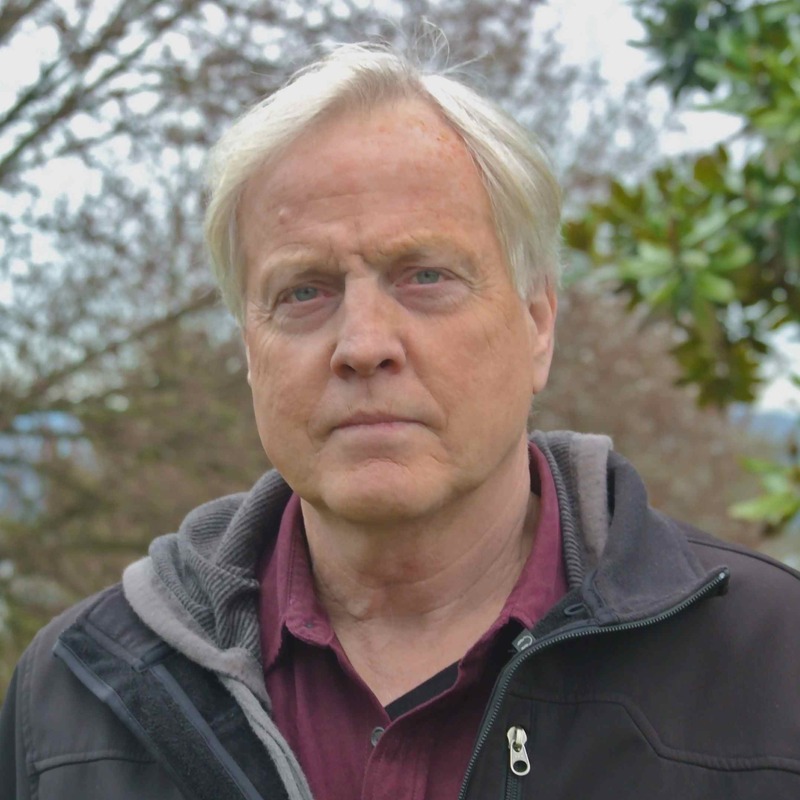 SSU is pleased to announce that John V Fox, head of the Seattle Displacement Coalition, has signed our petition and is backing our effort to control out-of-scale development in Seattle’s lowrise multifamily zones.